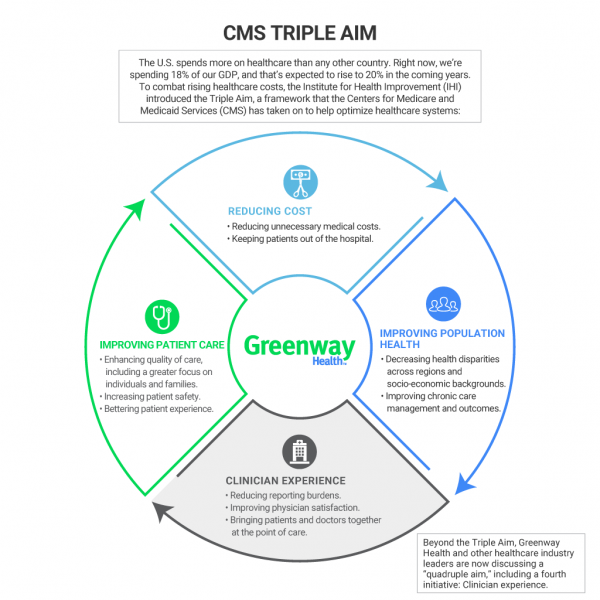 what is the triple aim, and How can we slow down the rising cost of care? The U.S. spends more on healthcare than any other country. Bringing patients and doctors together at the point of care. Download this helpful infographic for a detailed description of the Triple Aim.